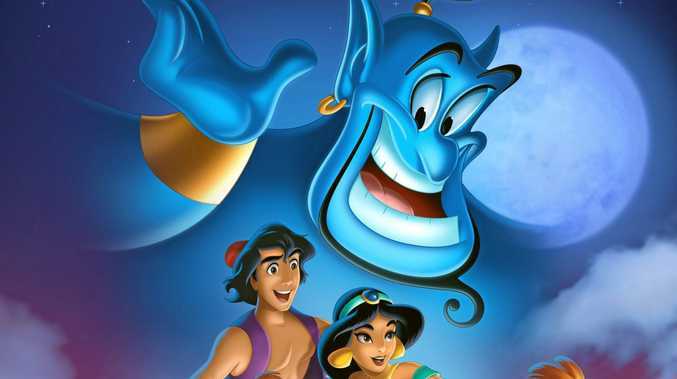 FANS of Aladdin will be jumping for joy as the new Aladdin film is gearing up to take them on a magical carpet ride. Just days after rumours of casting difficulties surfaced, Disney has finally told us who will be staying 'one jump ahead of the breadline' in the upcoming live action remake of the classic film. Disney unveiled the main stars which will bring the much-loved characters of the story's namesake and his princess Jasmine, to life - and they've also cast the cheeky Genie. Relative newcomer Mena Massoud has won the coveted role of the poor pickpocket who eventually ends up marrying a Princess. The young actor currently stars in Amazon TV series Jack Ryan. Power Rangers star Naomi Scott will reprise the role of Jasmine, the headstrong princess who knows what she wants. Naomi will give her take on the popular character who just wants to experience normal life beyond the suffocating castle walls and is determined to find her own prince, despite pressure from her father. Mena Massoud is the new prince Ali, while Naomi Scott will star as Jasmine. Source: Instagram. The wonderful, late Robin Williams made the genie role his own in the film's previous animated incarnation. Although no one could compare with the brilliant comedian, we've got a good feeling about Will Smith, who will be donning the hammer pants and emerging out of the magic lamp to grant Aladdin his three wishes. The announcement of the new Prince Ali was made by Disney production President Sean Bailey, following rumours the studio was struggling to find young actors of the right ethnicity - something which was seen as a reflection of Hollywood's diversity problem. Mena is an Egyptian-born Canadian actor while Naomi has an Indian background. Some fans on social media expressed praise for the studio, seeing the casting as a step forward while others questioned why Naomi had been chosen. The film has yet to cast the villainous Jafar and his squawking sidekick Iago, the monkey Abu or the tiger Raja. Guy Ritchie is at the helm, bringing new life to the the 1992 animated classic, in a musical, live-action film. Apparently the animated movie will be a major influence, with the screenplay even harking back to the classic Arabic folktales of One Thousand And One Nights. Aladdin will begin shooting in Ritchie's hometown of London in August. It's another in the long line of live action remakes Disney has planned, others are believed to be The Lion King, Mulan and Dumbo , so there will be plenty to keep the kids amused in the near future.